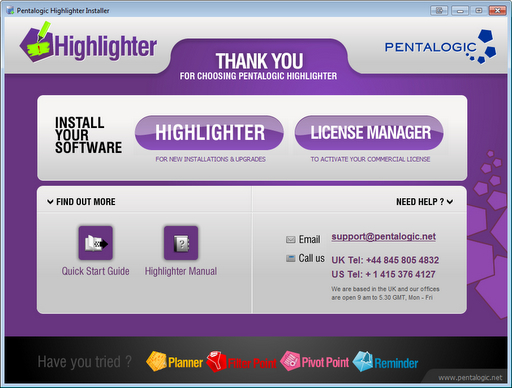 Select the Highlighter button to install, you may wish to also install the License Manager at the same time. Highlighter is a Custom Column and Custom Columns are classed as Farm Solutions in SharePoint so will not appear as Site Features. If you want to check that Highlighter has installed and deployed look under: System Settings > Farm Management > Manage Farm Solutions. If you see it there marked as deployed, then when you create a new column on a list you will get the option of setting the type to Pentalogic Highlighter. See the Quick Start guide for more details.